SG Young Investment: Can I Buy A Private Property If I Own A HDB? In the past, there were many people who bought private properties and made a lot of money when they sold it at a much higher price later. Some bought condominiums while some bought landed properties. Private properties are a good form of investments where we can buy it, rent it out or sell at a higher price later. Previously, I wrote that "Your HDB Flat Is Not Really An Investment". This is different for a private property where private properties are generally considered as an investment asset. It will be almost impossible for most of us to buy 2 condominiums at once and stay in one while renting the other one out. It is too expensive for most people. Now, if I tell you that there is a possibility that we can buy a private property even if we own a HDB, will you be interested? Yes, you can actually own a HDB and still be eligible to purchase a private property. In this post, I will share with you the different ways of how it can be done and also the restrictions to take note of. How Can I Buy A Private Property If I Own A HDB? To buy a private property when you already own a HDB flat, the first condition you have to meet is to fulfil the Minimum Occupation Period (MOP). The MOP for HDB is 5 years which means you have to stay in your current HDB for 5 years before you are allowed to purchase a private property. This is only applicable for Singapore citizens. If all the owners of your flat are Singapore Permanent Residents and you are a flat owner or essential family member, there is no way you can buy a private property while keeping your HDB flat. You will have to sell your flat within 6 months of acquiring your private property. While it is possible to buy a private property while keeping your HDB, there are certain cooling measures which the government impose to prevent housing prices from going up too fast. The loan to value ratio or LTV is the amount of loan you can get from the bank for that particular property. If the LTV is 90%, it means you can borrow up to 90% of the price of the property with only 10% down payment. For 1st housing loan, it is quite straight forward and not much cash is needed for the purchase. All the examples I am using is assuming the loan is from a bank. If you take a loan from HDB for the purchase of HDB flats, the LTV is 90% with no minimum upfront cash payment. LTV 50% for loan tenure up to 30 years and till age 65 years old. Minimum 25% upfront cash. As you can see, the LTV reduces drastically for the 2nd housing loan. If you own a HDB and buy another private property, you may be subjected to this reduction of LTV. But, there are circumstances where you still can get 80% LTV. I will go more into details below. LTV 40% for loan tenure up to 30 years and till age 65 years old. Minimum 25% upfront cash. LTV 20% for loan tenure above 30 years and/or above 65 to maximum 75 years old. Minimum 25% upfront cash payment. How To Buy A Second Property and still get 80% loan? As you can see above, for 2nd housing loan, the LTV reduces to 50% and there is a minimum upfront cash of 25% needed. If you buy a $800,000 private property, this is $400,000 down payment with $200,000 cash needed. There is a way to overcome this. The key to getting 80% loan for your second property is to make it a first housing loan instead of second housing loan. The keyword is on the housing loan. Simply said, if you own a HDB and have already fully paid off all your loans, then when you get a loan for your private property, it will be considered as first housing loan. The number of loans is taken into consideration for the LTV, not the number of properties. In this way, you can own a second property while still be able to get the full 80% loan. Another thing to take note is the additional buyer's stamp duty (ABSD). Throughout my mortgage consultancy work, TDSR is the most confusing part for most people who want to buy a property. This is also the pain point where a lot of people who want to buy a private property find out that they actually can't afford the loan. The current TDSR is 60% which simply means you cannot use more than 60% of your gross monthly income to service your loans. This is inclusive of all loans from housing, car, credit cards, student loans etc. From this, we can calculate out the maximum loan eligibility for each individual. This is very confusing for a lot of people and it won't be easy to calculate. If you need help to calculate your loan eligibility for the purchase of a HDB or private property, you can email me at sgyi@homeloanwhiz.com.sg. You can also email me if you need to take up a new home loan or refinance your housing loan. I provide this service on a complimentary basis. More details of my service here. Yes you can buy a private property if you own a HDB. It may be a good investment for those who are thinking to go into property investment. You don't have to sell your HDB and buy 2 condominiums in order to rent it out. Can I buy a private property if I own a HDB? Yes you can! There is another way which I read from a blog. 1. Buy a BTO from HDB as a married couple. 2. Live for 5 years and sell it off. 3. Individually, buy a private property. This would allow both parties to take a loan as a first loan. Yes this can be done. We can buy a private property under one name. But its quite costly for most people to afford the private property alone. Coupled with measures such as the tdsr, its harder to get a loan. If I own a private property, can I buy open market HDB? If you own a private property, you will need to dispose it within 6 months after purchasing the HDB. Can I buy the private property without selling out my this HDB? If you are only the occupier but not the owner of the HDB, you can buy a private property without any problem. In this case he is the essential occupier. I thought essential occupier cannot buy. An essential occupier is actually not a owner of the flat. He/she can be deleted from being the occupier of the flat after 5 years occupation period. After that, he/she can buy any private property. Hi SGYI, so does he/she have to stay for 5yrs before buy private property or he/she can buy anytime dont need to wait for 5yrs? I am planning to sell off my current hdb flat and downgrade to a fully paid smaller hdb flat. With the cash on hand, i am planning to buy a 1 bedder private property. I am not sure if i should buy a private property after i sell my flat or do as what i plan. If you have extra cash, it would be good to invest in private property which you can rent out. With current depressed property market prices, it would be a good time to look at it. Currently I'm an occupier in a HDB flat, fully owned/paid by my husband. Can i buy a property on my own and will it be subject to ABSD? If you're only an occupier and not an owner in the HDB flat, you can buy a property on your own without paying ABSD. If i am the joint ownership for the HDB with my wife, then from what I can see is that we need to pay ABSD even the HDB us fully paid, right? Yes you'll need to pay the ABSD even if the HDB is fully paid. My husband owned a bto/hdb with her mother to be delivered to him this dec 2016. im a foreigner with epass visa can i buy a condo. My husband told me her mother dont like me to stay there. As a foreigner, yes you can buy a condo under your own name. However, do take note that there will be an additional buyer's stamp duty of 15% which you have to pay. i am SPR n my husband is SC ,we own HDB now. can i use my name to buy private property? need to sell HDB? If you're a SPR and own a HDB, you have to sell your property within 6 months after you buy your private property. Can she change her name to an occupier and purchase the private property? We could do this in the past but it is not possible now. I am a PR and my wife is an occupier for HDB (purchased in 2011). No my daughter got PR as well. My wife can buy a condo? Without selling HDB? If your wife is only an occupier for the HDB and not owner, yes she can purchase a condo without selling your HDB flat. If I am a EC owner, 5-10 years later say I dispose my EC and buy a resale HDB, can I buy another private condo after getting the resale HDB? Thanks. Also, what's your view on the current huge supply of EC in SK & Punggol area? Thanks. Yes you can buy a private condo after buying a HDB provided you have met the minimum occupation period of 5 years. There will be restriction on the amount of loan you can borrow and additional stamp duty though. If there are huge supply of EC and lesser demand in SK and punggol, price will definitely drop further. We have a 5 rm hdb flat in D19 fully paidoff and had bought a 3 bedder condo in D28 in 2014. Should we sell our hdb to get back the 7% tax or keep it to rent out? However rental market is competitive. It depends on whether you need the cash now by selling the HDB or you enjoy the cashflow for long term? For me personally, I think cashflow is good unless you got a place where you think you can invest and make your money grow faster. I am married with a PR. I owned a landed property. My wife's name is not on the the landed property. My wife and i wanted to buy a bto, are we eligible? Or even resale flat? If you own a private property now, you have to sell your HDB within 6 months of purchasing the HDB. Since your wife's name is not on the landed property, she can buy a resale HDB property or BTO 2 room if she's above 35 years old. Yes you can after meet the 5 years MOP. Max loan is up to 50% and have to pay 7% additional buyer's stamp duty if you keep your cirrent EC and still have outstanding loans. I am 24 yo Singaporean looking to purchase a condo with my mum. My mum co-own a fully paid HDB with my dad. Considering I am a first time buyer, how is the stamp duty for the condo calculated? Would it be possible to remove my name from the condo in the future so that I may be eligible for purchase for a hdb with my future partner. If you're buying the condo with your mum, there will be an additional buyers stamp duty imposed which is 7% for singaporeans buying 2nd property. If you buy it under your name only, then will not have to pay the ABSD. Yes you can remove your name from the condo in the future but your mum will have to take over all the outstanding from you. Do take note that this is subjected to the TDSR also so it may be tricky then if your mum's income is not high enough to take over. After name transfer, can I buy ec or hdb? Is there a waiting period? If I buy a HDB resale property as a 35 year old and get married later, can my spouse (who is only occupier but not owner) buy another private or HDB property as first-time buyer? If your spouse is an occupier only, she will be able to get a property as a first time buyer. Assume the flat is bought in Sept 2016 under my name only. If we get married in Dec 2016, can my spouse still buy a private property after even though the MOP is not completed? If your wife is not an owner of any property, there will be no restrictions to buy a private property. However, she still has to meet the income requirements in order to qualify for a loan for the property if needed. If you need advise on loan matters, you can email me at sgyi@homeloanwhiz.com.sg. i will reply you from there. Thanks! But I was advised from hdb that if one party owns a hdb (less than 5 years) and the other owns a private, in the event they got married, they will have to dispose the hdb. You don't have t dispose the HDB if you don't own both the HDB and private at the same time. Even if married, don't have to combine the names in the HDB if not necessary. This will avoid the need for disposing of the HDB. If i were to transfer my name of the bto or transfer it after mop period to my wife. Will i be able to have certain advantage of the LTV,ABSD and TDSR? I suppose you're referring to buying a new property after transferring your name? Once you transfer your ownership in your existing property to your spouse and have no more properties or mortgage loan under your name, you will not have to pay the ABSD and also the LTV will be at 80% instead of 50% for a second property. As for TDSR, since you're buying the new property alone, it will be based solely on your income only which could be lesser than a combined income. Hi, I own a HDB flat and has met the MOP. Can I buy a new EC and at the same time hold on to my HDB flat? Tks. I'm not sure about that but i guess it can't be done as an EC is not a private property until it has passed the 5 years MOP. If you're buying a resale fully private EC, then it is possible. Hi, We own a HDB Flat with existing HDB loan. if we want to buy EC, are we subjected to 80% LTV or 50% since we know that we cannot hold both the HDB and EC at the same time. Your LTV will be 50% if you have an existing loan. Unless you clear your loan then your LTV will be 80%. If you own a condo and buy a HDB, you'll have to sell your condo within 6 months after purchasing the HDB. What happens if the person fails to sell the condo within 6 months? This I'm not sure. It is required by law to sell the HDB if you purchase a private property. If my hubby own a private property and i own a HDB with my parents, can i sell off my current HDB and buy another bigger HDB with my parents? If you are not the owner of the private property, you can definitely sell off your current HDB and buy a bigger one. Thanks for the reply. Will i be affected by the ABSD? If you sell and buy you won't be affected by ABSD. ABSD will only apply if you're buying 2nd and 3rd property while not selling the 1st property. 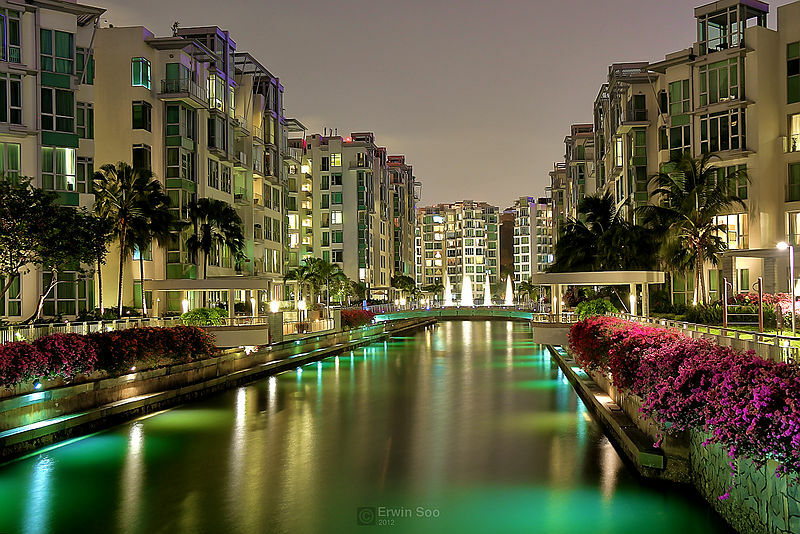 If I have an EC (5 years) and want to buy a condo, will I incur absd? Or will absd only be waived after EC is fully privatized (10 years)? If I have an EC (5 years) and wants to buy a condo, will I incur absd? Do you intend to keep your EC when you buu the condo? If you keep, it will be considered as a second property purchase and there will be absd. I have a friend, the husband is SPR, the wife is recently converted to SC. They both own a hdb (resale) and they are going to buy a new condo. Do they have to dispose their HDB when the new condo is ready? If they are both SC, don't have to dispose HDB when new condo is ready as long as the HDB meets the MOP of 5 years. If one of the spouse is SPR, HDB fully paid. Can the couple buy a private property? Hi, I owned a fully paid HDB resale flat with my spouse and has fulfilled the MOP. Can I purchase a private condo and rent out my HDB? From HDB website, you will have to continue to stay in your flat after acquiring private property unless prior approval is given from HDB. whats your advice: sell HDB, take the cash out, and buy a pte freehold with 80% loan for rental. then, migrate and invest overseas may be aust. with the cash made out of the HDB sale. Do you think its a wise choice? Don't think its a wise choice to just buy a private property and rent out without any buffer. Some private properties the rental cannot cover the monthly instalment which will cause even more stress then. Downpayment for property would have used up more than half of the sale of the HDB. Futhermore, migrating is another issue altogether to leave family and friends here. Hello, If I have an HDB value say 500k (after minus outstanding HDB loan), zero in CPF & 150K cash. how is the best to invest in property? For private property, the downpayment is 20% with minimum 5% in cash. If you have the downpayment ready, then it is the first step to invest in property. Another thing to take note is the maximum loan you'll be eligible to take. This can be done by doing an IPA with a bank. I am a 37 year old man who just purchase a BTO flat under the single's scheme and the flat will be ready in June 2019. But I intend to get marry in 2018 or 2019 and purchase a condo with my spouse. Will I be eligible to co-own a condo even though I didn't meet the M.O.P for my BTO flat? Do you think if I would speak to my MP about this matter would it help? I inherited a landed property from my aunt upon her death. I now want to buy an HDB/BTO/EC flat. Do I need to pay ABSD? Honestly im not sure if you'll need to pay absd since you inherited the property and not bought it. You have to check with IRAS on this. Hi, my wife and I currently own a HDB purchased 8 years ago and I own a condo purchased 3 years ago under my name only. Can we sell the HDB now and buy another resale HDB under my wife's name only so that i can keep the condo? Thank you for your advice. Yes you can. Once you sell your current HDB, you can buy another HDB under your wife's name only. Meaning to say a married person can purchase a resale hdb under his/her name only? Hi ,me and my wife singaporean. bought resale flat in tampines May 2009. if we buy condo now in singapore . we need to sell the hdb in six months? Because all this rule came in only 2010. For condo we can get 80% bank loan? Yes you can get maximun 80% loan if you sell your HDB. However, the loan granted is still subjected to the TDSR. It is recomended to do a approval in principal with a bank before you go ahead to purchase a property. Hi..Currently I own a HDB resale flat but didn't complete the MOP of 5 years but is there any chance I can buy a Condo in my daughter's name who is already 21 years old. ? If so any chance I can change the ownership to my name after few years ? Yes you can buy the condo under your daughters name. You can change to your name after you fulfill the MOP for your HDB flat but do note the prevalent ABSD will apply. Can I transfer my existing HDB housing loan to my husband and retain my ownership so that I can purchase a 2nd private property at 20% LTV? If yes. May I have the government link for detail explanation on this matter? I think for transferring of loan to another owner, it can be done but i do not have the link for this. The current restriction is on transferring of home ownership but loans are not stated in the restrictions. You'll have to check with HDB to make sure it can be done. Hi, I am SC, I co-owned a hbd with my parents and owned a condo. Could I buy another condo without selling the hbd which my parents are staying? Yes you can buy another condo but do take note of the absd and loan restrictions as stated in my article above. For 3rd property, the restrictions imposed are quite a lot. I am in an unique situation. MOP not completed but permission granted to sell the flat, which is not fully paid up yet. My wife and me are going to get a resale flat near her parents' place. We're also also thinking to invest in a private property at the same time. Are we able to do this without incurring absd? If you're planning to buy HDB again, you'll still have to wait for the 5 years MOP before you can buy private property. After the 5 years, you can buy private property but still have to pay the absd unless the government removes this later. Can we buy the hdb flat and put it under my wife's name then buy a private property under my name so as to avoid absd? No you can't do that. A married couple has to include his/her partner's name as owner of the flat. Hi. My fiance and I are planning to buy a resale flat. His parents have a HDB flat and an overseas property. We intend to buy our flat and bring in his parents as occupiers. They will sell their flat but can they keep their overseas property? Are we still entitled to the CPF grants because we are both first timers? If he bring in his parents as occupiers, they are essentially not owners of the flat so won't be a problem keeping their overseas property. Yes you and your fiance will be eligible for CPF grants as first timers. You'll be happy to know that the grants have been increased to 50k now. Thanks for your reply! Yes, the grants have increased but I'm hoping prices won't increase too! Hi, if we have a fully paid condo and want to buy a resales HDB. Can we do transfer ownership to one of my inlaws who has a HDB fully paid. Inlaws are retirees , can we remove 1 name out from HDB and use it to transfer our condo over to avoid ABSD? Yes you can transfer private property to your in laws but taking one name out of HDB will be difficult if they have bought it under the married couple scheme. If you keep your HDB and buy another property, you'll be subjected to ABSD. As your wife is a PR, the ABSD will also be higher if she is the co-owner with you for the private property. If you buy the private property under your name only, the ABSD will be lower at 7%. Hi.. my husband and I are both SC but has a property overseas. Can we still buy secondhand HDB (not BTO)? Yes you can but you have yo dispose of your overseas property within 6 months after acquiring the HDB. Hello, don't make inaccurate sweeping statements like "if you are SPR owning a hdb u will never be able to buy a private property if u dun dispose the hdb in 6mths"
This does not hold if the SPR is a co-owner with a citizen (which can also mean one of the SPR co-owners becomes a citizen). The SPR can still buy a private property and keep the hdb under his shared name if MOP conditions for the hdb is fulfiled. Thanks for pointing that out. I've checked on HDB website and indeed it is written that only all owners who are SPR are affected. I've amended my article accordingly. Thanks! 1. Can the occupier (for e.g. Me) purchase another property without ABSD? 2. I assume this will be considered my first bank loan and I'll be able to get 80% loan? 3. Am I only able to buy a private property? Or can I use my name to buy yet another hdb? Finally, is it wise to purchase first property under one name in order to save on ABSD and get a better loan for second property? If you're married, i don't think you can buy HDB under one name only. Have to include both names as owners. After 5 years MOP you can buy a private property but have to pay ABSD and also will only be able to get 50% loan only. We did ask hdb recently and they said one spouse can be owner and the other occupier. So I had the conception that meant that the bank loan is only on the spouse who is owner. Thus after 5 years MOP, the spouse who is occupier is free to get another bank loan and also buy a private under his/ her name without ABSD. Hi, since the spouse is only the occupier, why must he wait and complete the 5 years MOP before buying a private property since he is not the owner of any property? I am SPR (SC application pending) and my wife is SC. We bought resale HDB (2017) under married scheme (we both are owners, my wife is first owner since she's SC and I am second owner since I am SPR). I plan to save up to get a second private property for investment after MOP. Must I incur LTV 50% with ABSD 7%? Is there no other way? I only can get LTV 80% if I fully paid my first HDB (2047)? There is no other way unless the cooling measures are removed. Yes you can only get 80% LTV after you finish paying your first loan. Husband and I are SC. We bought a hdb with him as owner and I the occupier. I would like to know what are my rights as an occupier over the flat? Can he sell the flat without my consent after MOP? If he passes on, do I have legal rights over the flat as wife? Or hdb can take back the property since he is the sole owner of the flat? Apologies i can't advise on the legal rights over the property. You'll have to check with HDB on your rights. My husband owns a hdb with his mum, bought 20yrs ago. After we got married, we bought a private condo 10yrs ago. We are both SC. We want to sell our condo to cash out but need to get another property. What advise would you give? 1) Can we buy an EC? need to wait 30mths after we sell the condo since hub still owns a hdb? my name is not in his hdb, can i buy the EC with my name and avoid the 30mths wait? what is the payment scheme like so that i can ensure there is enough cash on hand. 2) Should we get another more affordable condo? Is there a downtime after selling our current condo since hubby owns a hdb and if i wish to include his name in the new condo? Will his hdb affect me? Can I use my name only for the new condo? Both of you can't buy the EC unless after 30 months of selling your condo and HDB. EC is a subsidised scheme under HDB so the rules are similar to that of the HDB flat. Both of you can buy another condo. There is no downtime for this. However, do note as long as you are your husband owns one property and buys another one, then have to pay the additional buyers stamp duty. If you use your name only for the new condo and sell the existing one, then do not have to pay the ABSD. 1)anything we need to note since hub owns a hdb? Is the new condo consider a first or second property? As your husband owns a hdb currently, when you buy a condo together with his name, there will be absd payable. The condo will be considered a second property as long as one of the owners owns any other properties. If you buy a condo on your own, then it won't be a problem as it'll still be your first property after you've sold your existing property. Hi...both my wife and me are SC. I co-own a fully paid HDB with my mum and my wife name is not in the HDB. 1)Can she buy a private property without having to pay for the ABSD? She does not own any property. 2)if we were to buy a private property with both our names(keeping my HDB), do we need to pay the ABSD? 3)is it a must to put her name(either occupier or co-owner) in my HDB since we are married? For scenario 1, yes your wife can buy a private property without paying absd. For scenario 2, yes you'll have to pay absd as long as one of the owners own another property. For scenario 3, if hdb has not requested you to put your wife's name in, then it shouldn't be a problem. 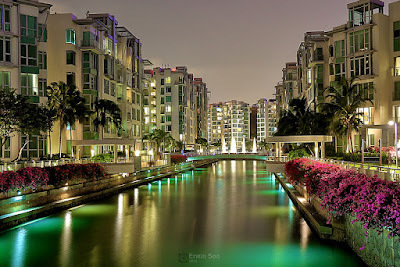 By right when a couple buys a hdb property it is a requirement that both names be put inside. For your case its more special so you'll have to check with Hdb on it. so which means.. SC husband & SPR wife cannot buy 2nd Private property while after 5 years of HBD mop. If either one is SC, then will be able to. The restriction only applies if both are SPR. Both my husband and me are Singapore Citizens. We bought a resale flat recently. I am the co-owner and he is the occupier. We did not fulfill the MOP yet. His father has bought a private property and wanted to transfer to his name now. Can this be done? can i please ask, if i have fulfilled the MOP, fully paid my HDB, own 1 oversea private property, can I still purchase a local private property? At what ABSD will i be subjected to? Yes you can. In your case, your HDB will be counted as 1 property for ABSD while your overseas property will be excluded from the count. The absd is 7% based on 1 existing property owned for Singaporeans. Hi, my husband and I bought a bto under the married couple scheme. Both of us are listed as owners. We are both SC. Can I change my status for the bto from owner to essential occupier and buy a private condo without ABSD? Thanks. For HDB, unfortunately you can't do that. If i own a resale HDB and i rent it out, then i purchase a private property and rent out. Can both HDB and private property be rented out? If you buy a private property, the regulation is you have to stay in your existing HDB in order to rent out the private property. Once you purchase the private property, you won't be allowed to rent out the whole HDB anymore. Hi! If both me and my spouse own a HDB (not yet met MOP), and now if my spouse were to placed his name under a private property, will it affects our current HDB? Any repurcussions etc. and for future can we still purchase HDB with loans/ and subsidies? If HDB not yet met MOP, both owners cannot purchase another private property. You are also not allowed to sell your current HDB if its still under MOP. My wife is a Singaporean and I am a PR. I got the PR only after we purchased the resale HDB flat. We bought this resale HDB flat last year under HDB foreigner spouse scheme without taking the CPF housing grand. Do we need to meet the MOP so that I can buy purchase the private property? Do we need to pay the SSD since we only stay 1 year on this resale HDB flat? In any case, you'll have to meet the 5 years MOP before you can purchase the private property. Yes you can buy private property without selling your HDB as long as one of the owners is a Singaporean. My wife and I bought a resale HDB without getting any grant when we were both PR some years ago. We have been staying here for more than 5yrs and she is now a citizen (while I am still a PR). Are we allowed to buy and move to a 2nd property (under her name), and rent out our current HDB? By right its possible as long as one of the owners is a Singaporean. Its best to check with HDB directly to confirm this. My husband and I just own a HDB/BTO around $350K. We plan to invest a private property 5 years later. So that's mean we have to fully pay off our HDB in 5 years time before we can apply for a loan up to 80% for a private estate. 2 years later we sell out our private estate and planning to buy for another private estate. are we still entitled for 80% loan? You'll be eligible for 80% loan as long as its the 1st housing loan meaning as long as you do not have any existing outstanding loan at the point of purchase, you'll be eligible for 80%. The answer to your question is yes. I am about to get married with my fiancé. I’m a Singaporean and he’s a Malaysian holding WP. He holds 2 overseas property in JB and we are intending to buy a resale HDB flat here, will he be asked to dispose his overseas properties? Yes he needs to sell the overseas property. I quote from HDB website: "If you or any person listed in your resale flat application owns a private property either locally or overseas, you must dispose of all private properties before or within 6 months of the resale flat purchase."